There are a growing number of employer lawsuits seeking relief from all or part of the ObamaCare contraception mandate currently winding their way through the federal judicial system. As we approach the end of the year, the number of court rulings on these cases is steadily increasing. And the rulings do not bode well for a quick resolution to the legal challenges to Mr. Obama’s signature legislation. The rulings that are being issued are largely in response to the employer’s request for an injunction to prevent the government from enforcing the law while the case is being litigated. In deciding whether to grant this injunction, the court must decide whether the employer has a strong enough of a case to deserve a trial. But the granting of an injunction is not a guarantee that the employer will ultimately win the case; it at most guarantees a trial on the merits of the employer’s case. We are seeing basically two categories of employers bringing these suits: 1.) Religious entities that do not meet the extremely narrow HSS religious exemption, which excludes most religious schools, health services and charitable organizations; and 2.) businesses, mostly privately owned for-profit companies. What they all have in common is a claim that the ObamaCare contraception mandate violates their First Amendment right to free exercise of religion. The rulings earlier this year were mostly on cases brought by religious employers and largely failed on technical grounds (usually the court opining that the case had been brought too early). Most if not all of these cases are now on appeal. Last week, the Supreme Court considered one of these appeals and ordered the Appellate Court to reconsider the case (Liberty University). What is exciting is what is happening with the business cases. A private for-profit Colorado company (Hercules Industries) and its owners were granted an injunction in July, followed by three more successful injunctions in November (Weingartz Supply Company and Legatus in Michigan, Tyndale House Publishers in Washington, DC, and O’Brian Industrial Holdings in Missouri). Unfortunately the Oklahoma District Court differed from the other courts and rejected Hobby Lobby’s injunction request. All of these cases are or will be appealed. 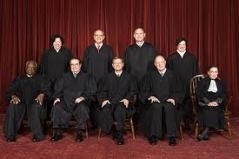 Does the Supreme Court’s Citizens United decision, that ruled that a corporation is a person and is entitled to First Amendment freedom of speech protection with respect to campaign donations, mean that corporations are also entitled to other First Amendment rights such as the free exercise of religion? Does the ObamaCare contraception mandate comply with the Religious Freedom Restoration Act, which allows the government to impose a substantial burden on religious practice only if it can prove it has a compelling interest and it is furthering that interest in way that is the least restrictive possible on the religious practice? Are the HHS regulations “arbitrary and capricious “as defined by the Administrative Procedures Act? The argument here is that HHS violated the Act by ignoring the fact that some of the mandated drugs increase risk of disease rather than preventing disease.